From our rooftop terraces you can watch colorful paragliders silently fly down in the morning and afternoon. One rooftop terrace provides a pleasant sunrise view over a forest mountain and the other offers a stunning sunset view over the lake and the world peace stupa. All our rooms have modern well-maintained facilities. Our beds have ergonomic mattresses while our rooms have hypoallergenic flooring. We have a genuine 24-hour hot water service and our rooftop electrical solar panels provide bright lighting in the event of a power outage. We welcome all our guests to enjoy their holiday in our comfortable modern deluxe rooms with optional breakfast and stunning tranquil rooftop views. 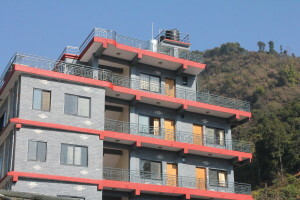 And, for those wishing to stay longer in Pokhara we also offer long-stay budget and premium accommodation. 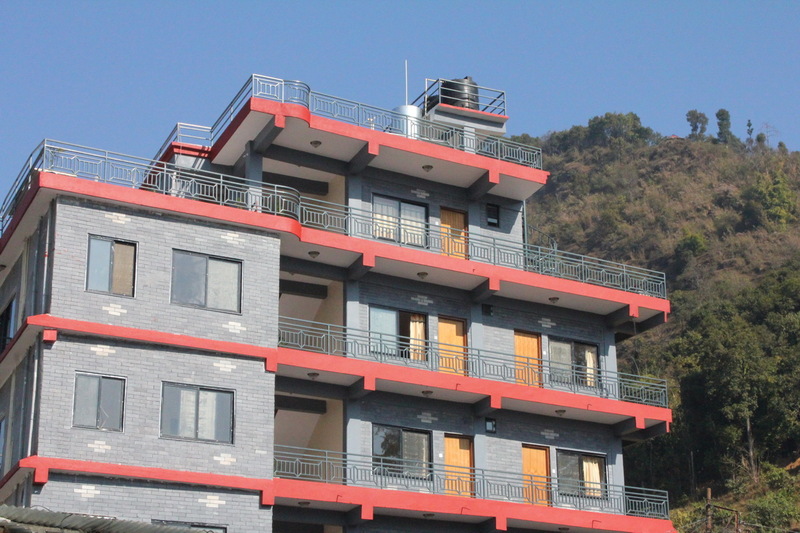 North Star Guest House Pokhara is a place where you’ll find comfort & relaxation in beautiful surroundings with a homely service dedicated to you.